This is only something to attempt after practice on some unimportant illustrated plates. 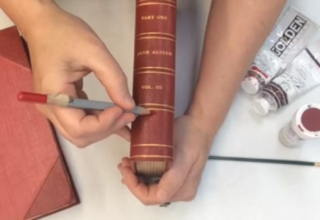 In general, never touch up directly on original materials because it can destroy the value of a book. 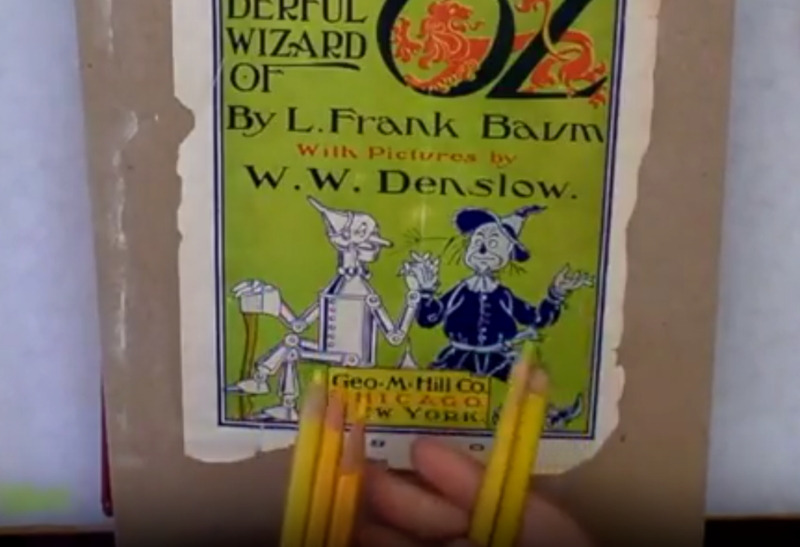 10 Minutes of Video: Shows the process of color touch up to a clay-coated plate from an early edition Wonderful Wizard of Oz book. Colored pencils are used to apply color to already damaged areas to improve the overall look of the page.